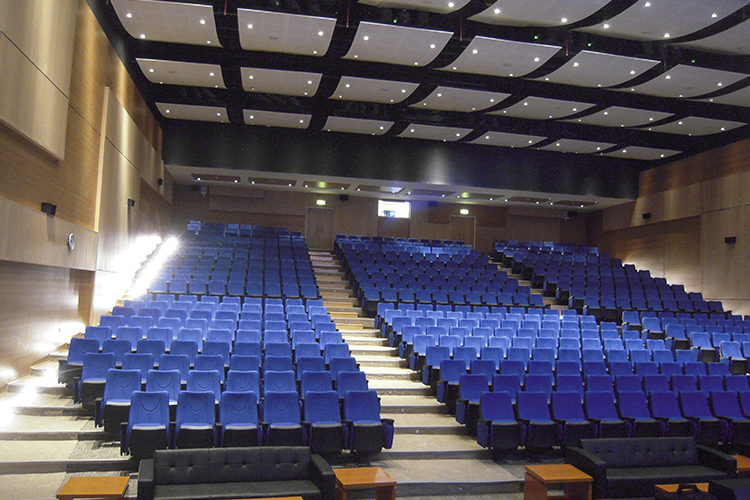 The Kuwait College of Science & Technology (KCST) is a one-of-a-kind private university in Kuwait City, where impeccable standards of learning have now been matched by arguably the best auditorium in the country. As part of a comprehensive three year project in which only the highest standards were deemed acceptable, regional systems integrator Bader al Mulla chose Renkus-Heinz solutions for what has now been described as the perfect installation. 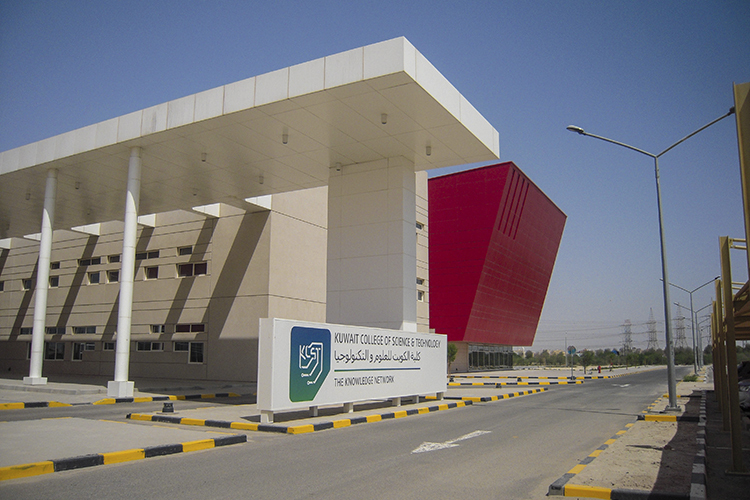 Comprising a 525-seat auditorium and two 215-seat lecture halls, the KCST project began in March of 2014 and was perhaps more personal than most for Bader al Mulla. A leader in its field, the company shows its allegiance to the region by supporting the college with its considerable expertise. As a result, when AV Engineer Manohar Sharma was tasked with designing the college’s audio systems, he knew the end-result had to be good. 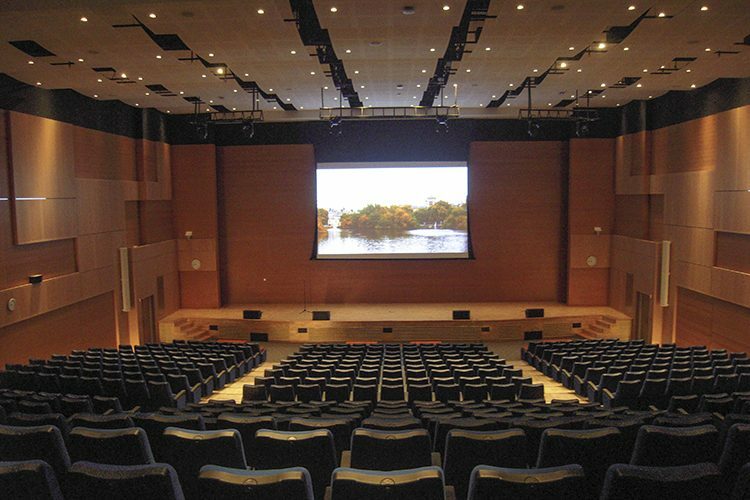 Though smaller, the two lecture halls were treated with the same level of care and attention. Both have been outfitted with matching systems, comprising two Iconyx ICL-FR Singles, again mounted at the extreme left and right of the stage, supported by a single, central PN212SUBR subwoofer and three PN61R enclosures as front-fills. Two CF61 speakers serve as control room monitors. “Even in the lecture halls, they have a world-class system,” confirmed Norbert Bau, Renkus-Heinz Sales Manager for the Middle East, who participated in the commissioning of the system.